Left-ruled Tripura will go to polls on 18 February, the counting for which will be held on March 3 along with that of Meghalaya and Nagaland. The BJP, in an attempt to make its mark in the north-east, is sending big leaders for rigorous campaigning in these states. 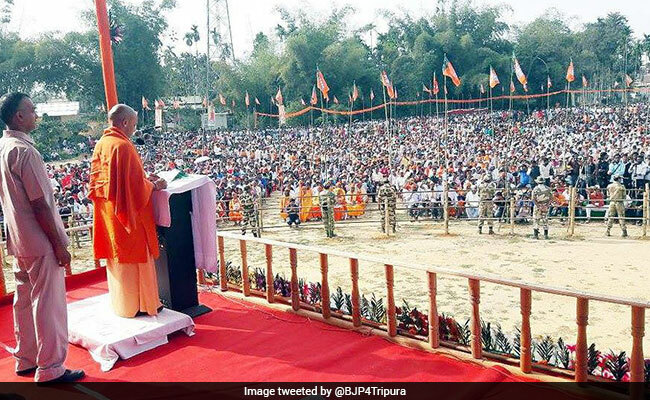 Uttar Pradesh Chief Minister Yogi Adityanath addressing a public rally in Tripura's Pabiachara. The rally was attended by a large number of people. 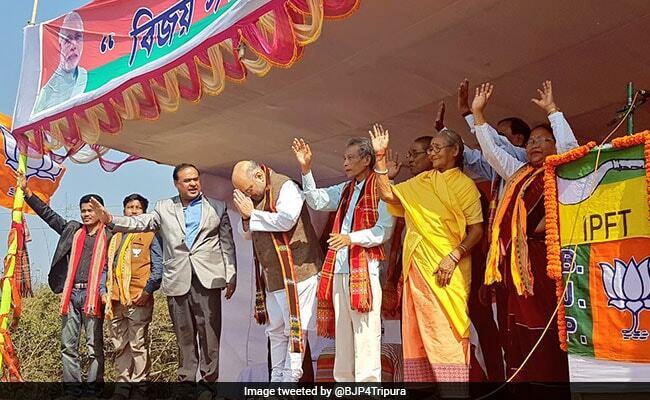 BJP President Amit Shah attended rallies in Mohanpur, Chawmanu and Teliamura in Tripura. He also took out a roadshow while travelling from Bamutia to Mohanpur, also in Tripura. During the campaign tour, he shared the stage with Assam minister Himanta Biswa Sarma. 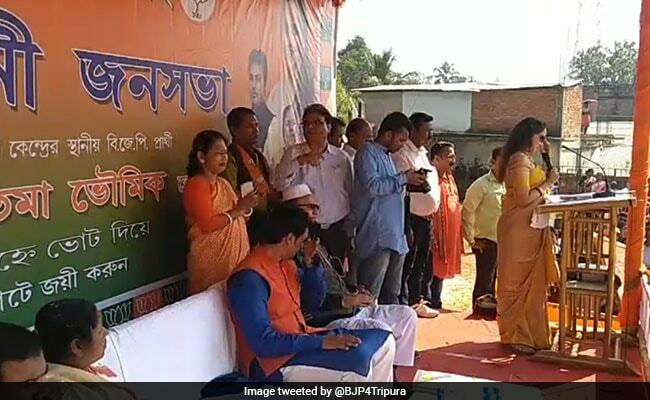 BJP lawmaker Hema Malini addressed a public rally in Tripura's Dhanpur Constituency. She was received by Tripura BJP President Biplab Kumar Deb on her arrival at the Agartala airport. Taking a dig at the incumbent Left rule in Chief Minister Manik Sarkar's home turf, she said the poor will get poorer under the CPM government. 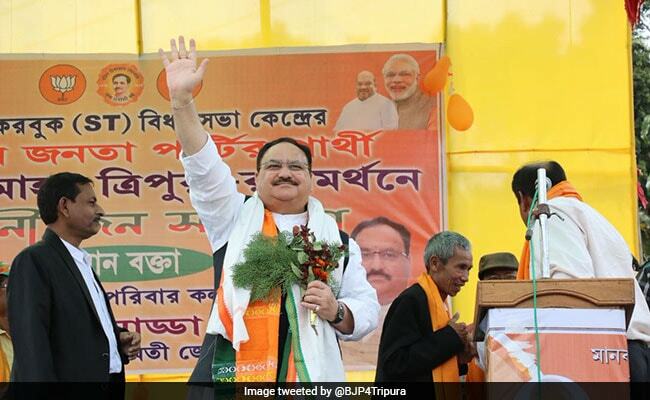 Union Health Minister JP Nadda tweeted this picture from his rally in Karbook, South Tripura. In his tweet he wrote, "I heartily thank people of Tripura for their massive support for BJP, this ensures that the people of Tripura have made their mind to reject 25 years of CPM's rule & select development." 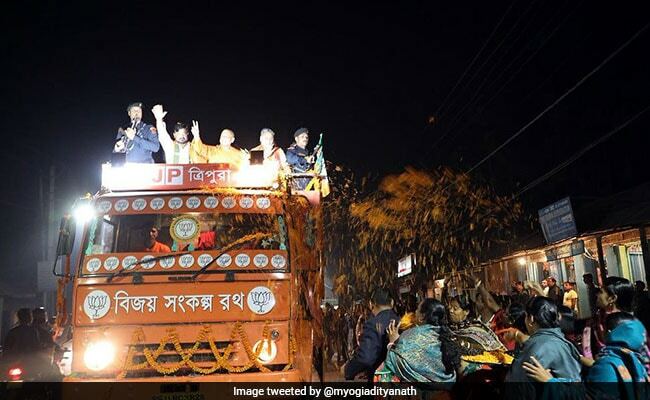 Uttar Pradesh Chief Minister Yogi Adityanath shared this picture of his road show from Majlishpur to Khairpuron in Tripura with the hashtag "TripuraTrustsBJP".